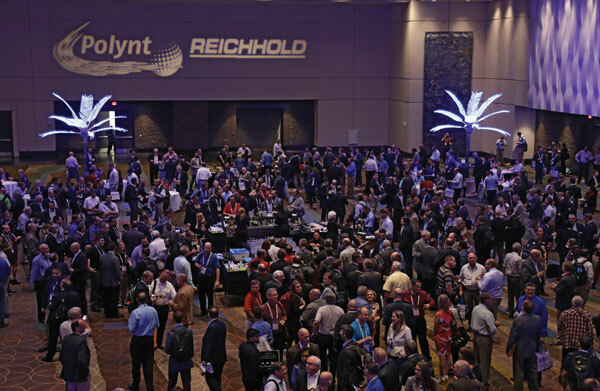 With plans already made to attend CAMX, the Composites and Advanced Materials Expo, Textile World asked me to provide coverage of the show, originally scheduled for last October in Orlando, Fla. Unfortunately, that original schedule also coincided with the arrival of Hurricane Irma, which put everyone’s plans into the spin cycle. For obvious reasons, CAMX organizers rescheduled the show and the new date was December 12-14. 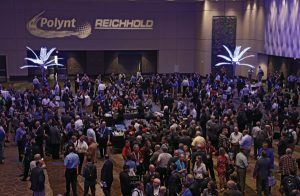 Despite the mid-December date, the rescheduled CAMX saw a good crowd at the opening welcome reception. Rescheduling a popular industry tradeshow is never an easy endeavor, but when the best option for new dates happens to be in mid-December, expectations definitely change. Typically, end-of-year activities create some of the busiest times for companies trying to close out the old year strong at the same time making preparations for the start of a new one, not to mention the personal challenges typically associated with the holiday season. CAMX organizers tried to put a positive spin on the situation and make the most of it, but most participants realized the show would see lower attendance levels than originally expected and the feel of the show would be very different. 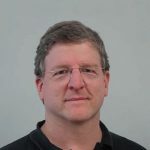 I realized he was absolutely correct, and concluded that CAMX, even though it was rescheduled, was a fine example of why tradeshows in fact do still matter. I have to admit — I like tradeshows and pretty much always have. I remember the first one I went to, long ago with my father. It was a sports industry show in Chicago and I was ecstatic to say the least. I was in my teens, so just traveling with my father when he was on business was great. But I couldn’t believe all the stuff at the show — not just the booths and sporting goods, but the knick-knacks and giveaways too. I was in heaven and remember returning home with two shopping bags stuffed full of handouts and what can best be described as a little bit of everything. 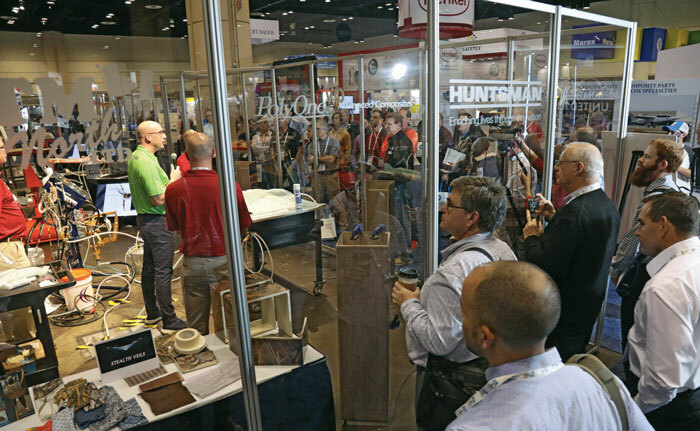 Attendees were able to watch live demonstrations at the Huntsman booth. Of course, tradeshows have changed quite a bit in the years since my first experience at one, or maybe more appropriately, they have evolved with the times and must continue to do so. Originally, tradeshows were the place where all the exhibitors showed their newest, latest and greatest products — the best they had to offer — to all the prospective customers that might wander by the booth. Trade shows were the great industry gathering event. But trade shows began to change as more and more competitors from near and far came booths to take lots of pictures and make notes. This high-level of interest inevitably resulted in conspicuously similar products of questionable origin being offered by other companies, generally at lower prices. This practice, in turn, began the trend of companies limiting product offerings at shows and highlighting just enough interesting items to draw curiosity. Sections of the booth space seemed to evolve into restricted or private meeting areas. Potential customers were drawn in by the interesting items and then essentially vetted. Those deemed worthy were brought to the restricted areas to be shown the real new items. Skip to the present with our fast-paced culture with everything online, and given the advent of mobile phones with all kinds of apps and access to more intelligence at our fingertips than the computers that were used to put a man on the moon years ago, and the evolution continues. Tradeshows have taken on yet another purpose. 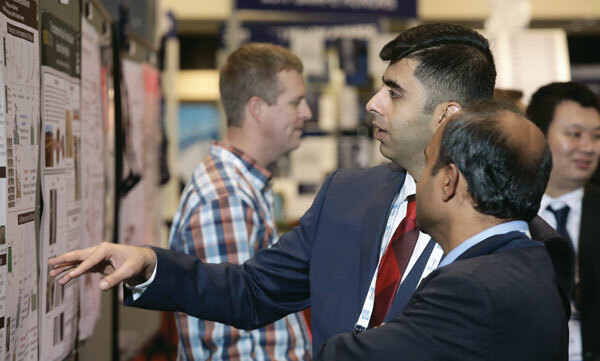 CAMX featured a poster session showcasing graduate student work. Another reason tradeshows are great, is they present an opportunity similar to that of going to a flea market or yard sale. One truly never really knows what one might find or whom you might run into. Maybe seeing one product or technology sparks an idea for a new product or better way of doing something. And there’s always the chance to run into old friends or colleagues you haven’t seen in years. At CAMX for example, I was able to talk to several different companies and gained ideas on new products and processing technologies that may lead to improvements in our productivity. I also ran into a colleague who I hadn’t seen in almost 20 years. It was a complete surprise for both of us, and really nice to catch up. Everyone who exhibits or attends tradeshows has their own agenda and opinion of the show’s worth and will weigh the associated costs. However, some in the industry have said in recent years that tradeshows are no longer worth the cost or effort, and I respectfully disagree. Granted, tradeshows used to be the primary source for finding new products, but now with the advent of the Internet, new products are found everywhere. 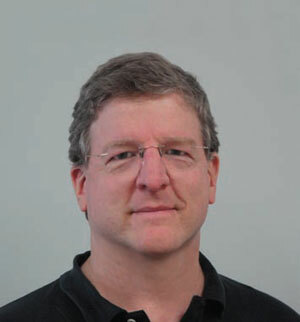 Today, tradeshows present an opportunity and atmosphere to forge relationships and renew personal connections, which may have been misplaced as a result of the fast-paced Internet, mobile phone, information overload world we all live in. It really does take only one enticing introduction, stimulating conversation or a new nugget or two of information to reinforce the belief that tradeshows really do still matter. The recent CAMX show certainly strengthened this belief for me.